Chicken Noodle Soup is comfort food, one of those foods you just crave when you want to relax or warm up. 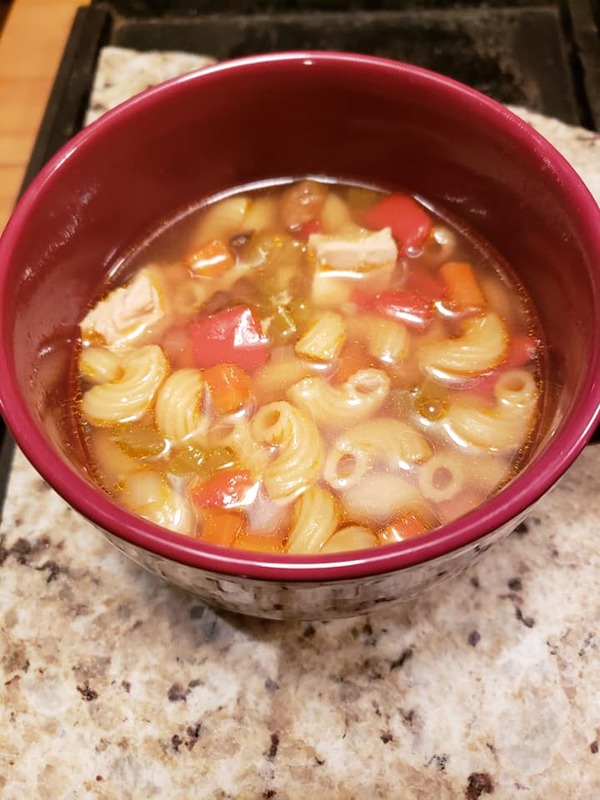 The weather report is calling for a cold weekend in northern New York, so what better to do than make homemade roasted vegetable chicken noodle soup, and cozy up with a good book by the fireplace (we don't have a fireplace... maybe some day). The best part about it, it's an easy sell to the family because most people like it! So here is my family's favorite chicken noodle soup recipe. It originally came from Cooking Light, so it was already healthy. 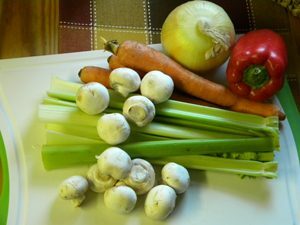 The recipe is very flavorful because the vegetables are roasted first, which seems to make them even better! I hope you like it too! 2. Combine the vegetables in a large bowl, and drizzle with olive oil - tossing to coat well. 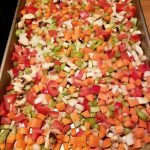 Place vegetables in a single layer on a cookie sheet (save yourself some cleaning, and line it with tin foil). Bake for 50 minutes or until browned. Turn them over to roast on all sides a few times during cooking. 3. Combine rest of ingredients (except pasta) in large kettle. Bring to a boil, then reduce heat and simmer for 1/2 hour. Add the roasted vegetables, simmer 1/2 hour. Bring soup to boil, add pasta; simmer 10 minutes. If you are using quinoa, cook it in a separate pan following package directions, and add to soup as serving (otherwise it will soak up a significant amount of broth). 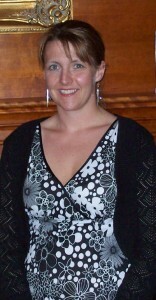 Tracey is a Registered Dietitian and Certified Diabetes Educator in Plattsburgh, NY. She enjoys cooking healthy recipes for her family, and loves involving her daughter in the process. On her blog, she shares meal prep ideas, healthy recipes, nutrition tips and even gardening tips (to help you eat more whole foods). Check out her social media sites for more great tips.